Scanimetrics' system monitors equipment and component health. Condition-based maintenance (CBM) is all about machine health. What affects machine health most are loading, stress, strain and fatigue. These parameters need to be monitored because CBM relies on accurate failure predictions. Still, many “solutions” don’t reliably predict when a machine will fail because monitoring produces high volumes of data, often collected in an unreliable way – information that needs to be understood and then managed. There are also physical issues. There’s a wire connection between sensors and data collection units in current CBM monitoring systems that corrodes, breaks or gets ripped off many equipment types. The company has developed a stand-alone, add-on wireless system for measuring the parameters in heavy equipment and components. This data can trigger maintenance events. The system, already used in mining and power generation equipment, consists of a portable display and control unit and a software platform for data management and data analysis. 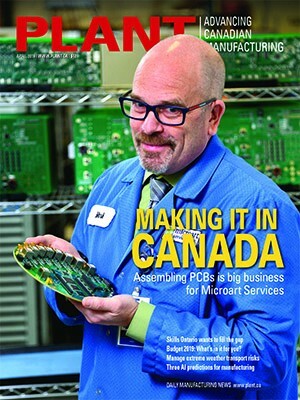 The Edmonton-based company believes advanced technology drives change. It developed its small, stand-alone systems based on studies carried out at the University of Alberta and with financial support from Alberta Innovates Technology Futures. The hardware includes a sealed sensor module that attaches to any: strain, vibration or crack propagation gauge; ultrasonic thickness, temperature, thermocouple, accelerometer or pressure sensors; and a master data capture unit connected to a computer. The modules operate as a mesh network relaying data between the master and its units, which are not directly reachable by the master. A 900 MHz RF frequency for the modules does not interfere with Wi-Fi 2.4 GHz signals. The system, sealed in an air vacuum epoxy compound, is built to IP67 standards and is intrinsically safe for explosive and harsh environments. The battery powered units operate within a – 40 to 50 degrees C temperature range and accommodate three channels with four megabytes of flash memory storage at 10 samples per second. Data is transmitted daily. The sensor pods are mounted to a surface either with spot welds or attached with epoxy. Once the sensor pod has been activated, it can be configured to provide one full year of operation. Data is gathered wirelessly from the sensors and instantly processed by a user-friendly interface with real-time graphic data viewing. The software performs data translation and analysis and has an option for live data display or unattended logging. The wireless strain gauge system – which will also accommodate crack sensors and vibration sensors – is fast and easy to install, non-intrusive and requires no operator intervention. Applications include monitoring of strain vectors and torque on rotating shafts, as well as metal fatigue and developing cracks in gear teeth and wind turbine blades. The smart bolt and bolt tension system monitors all critical bolts continuously and takes precise tightness readings. Applications include vibrating equipment, turbines and power-generating equipment, heavy mobile units, fans and other rotating machinery and flanges on pipelines. The wireless crack propagation system detects micro-cracks in metallic objects and measures their expansion, which eliminates the need for visual inspections. It allows real-time monitoring of cracks and the evaluation of structural integrity of industrial equipment, bridges, roads, rails and buildings. The wireless pipe integrity monitoring system measures and monitors the thickness and/or strain on permanently mounted pipes and takes pipe rotation angle measurements. It has a built-in signal conditioning for strain gauges and a temperature sensor for compensation. There’s also on-board storage for data back-up. Pipe intervals are optimized, pipeline life is extended and field failures as well as production losses are reduced. Manufacturers are turning away from reactive and time-based preventive maintenance. Wireless sensing and data collection offers an alternative that will maintain machine performance and give them a competitive edge. Visit www.scanimetrics.com for more information. 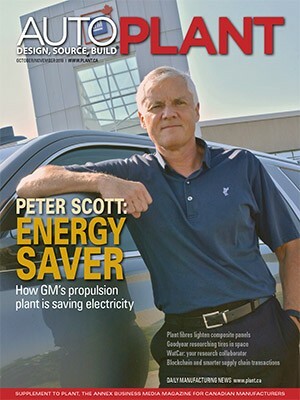 Steve Gahbauer, an engineer and Toronto-based freelance writer, is the former engineering editor of PLANT. E-mail gahbauer@rogers.com.